Found this in an article on TFB and thought it might be interesting to share. 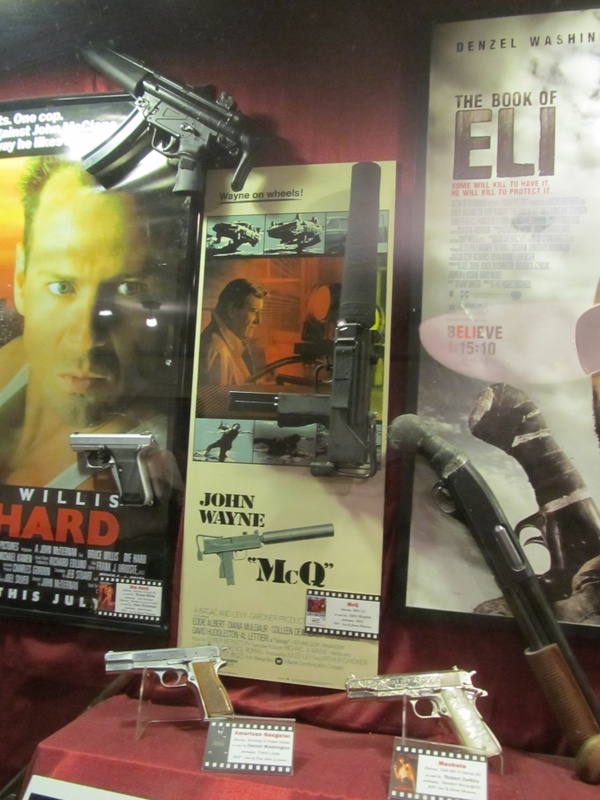 Hans Gruber's P7 and an HK94 from Die Hard, McQ's MAC-10 from McQ, Eli's 870 from The Book of Eli, the FEG PJK-9HP from American Gangster, and the Colt MKIV Series 80 from Machete. Any idea what museum this is? The NRA National Firearms Museum. You guys realize that I've photographed many of those ALREADY for IMFDB's exclusive use!!!! Correct. I live in Northern VA; I’ve been there twice now. I actually once visited the museum with a friend and told him...he hadn’t heard of IMFDB before that. I just recently realized it was in DC and am going to go when I can. Not in DC, Fairfax, VA. It's about half an hour away. It's a great museum. I was there in 2016. Especially given that it's a liberal free zone. For anyone visiting the NRA Museum in Fairfax: I also recommend the Chantilly annex of the National Air and Space Museum (the Udvar-Hazy complex). Two of my favorite museums in the world, both within driving distance of each other. Last edited by MT2008; 07-29-2018 at 03:13 PM.